NEH funding helped the Oregon Shakespeare Festival preserve and digitize vast portions of its archive. 1962 production of As You Like It. Ensemble. Photo by Dwaine E. Smith. Property of the Oregon Shakespeare Festival. Founded in 1935, the Oregon Shakespeare Festival (OSF) is one of the nation’s oldest professional non-profit theaters, as well as one of its largest. Each year, it performs a robust repertoire of plays by Shakespeare and others for hundreds of thousands of attendees. 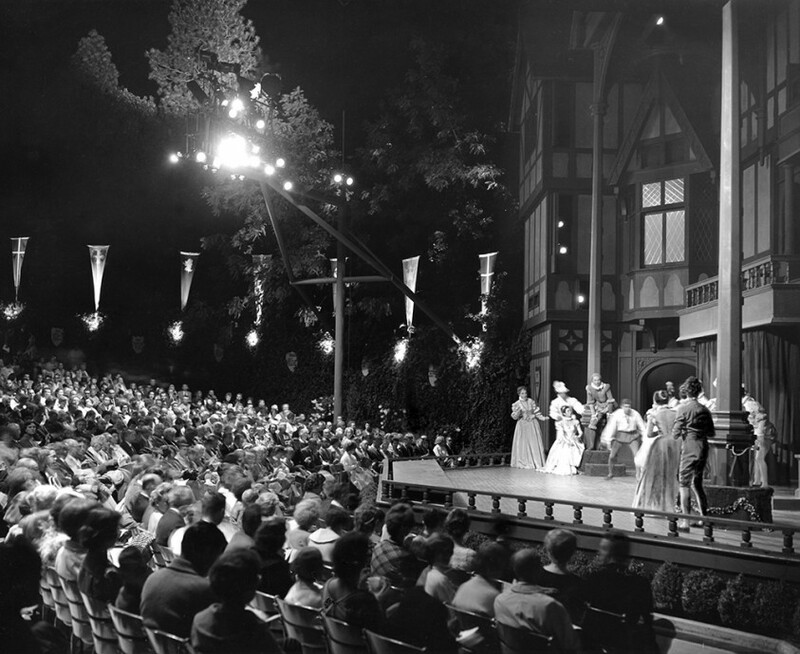 Since its founding, the Oregon Shakespeare Festival has maintained an archive that houses a comprehensive collection of audio and visual materials relating to its theatrical performances. The collection includes recordings of 541 of the festival’s 570 theatrical productions between 1950 and 2012; theatrical adaptations created for NBC radio; artist interviews; lectures; music; and advertisements. 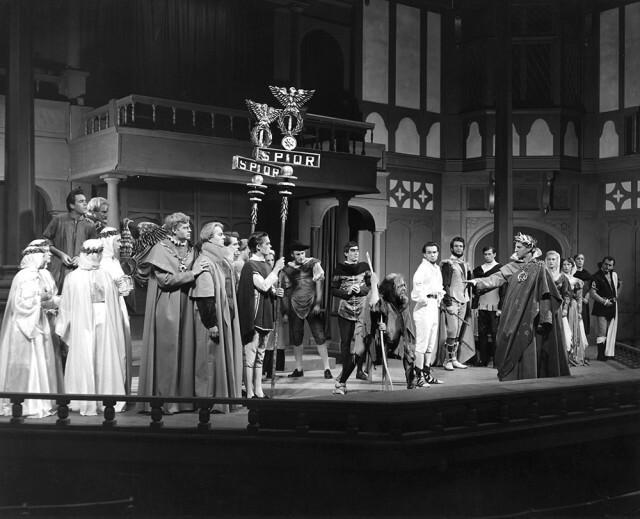 1960 production of Julius Caesar. Ensemble. Photo by Dwaine E. Smith. Image courtesy of the Oregon Shakespeare Festival. With much-needed funding from the NEH, the festival began to digitize these collections in 2013. Previously, the recordings had been held in storage, many of them unusable due to changes in technology and all of them in immediate danger of deterioration. Now that the collection is digital, the archive is consistently used by researchers, ranging from high school students to professors, theater professionals, and local groups, such as classes at the nearby Southern Oregon University. People are especially drawn to the many production recordings that were digitized with the NEH grant, which includes Shakespeare’s entire canon performed in multiple interpretations. Listen to a 1960 recording of Much Ado About Nothing. Audio recordings of Shakespeare's most popular plays, available on the festival's YouTube page, make performances accessible for enthusiasts and students alike. Recording courtesy of the Oregon Shakespeare Festival. OSF archivists continue to make the collection more accessible to the general public. They are currently developing a website that will host more of the collection online, and they are planning for future significant digitization projects. A selection of the recordings, which includes Shakespeare’s entire canon of plays, is now freely available on YouTube.